If you like cheesecake, then you will love this recipe. Instead of one big cheesecake, you can make several mini one’s. This recipe comes from the blog of Valya’s Taste of Home and includes a graham cracker crust with fresh blueberries. 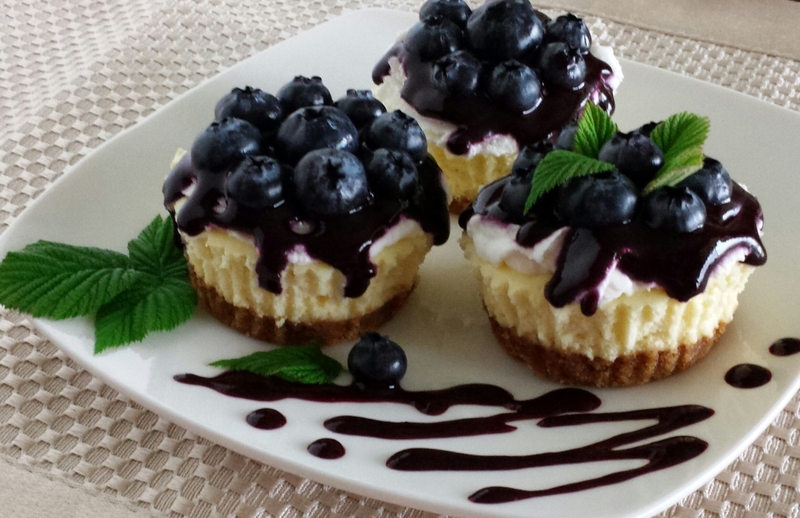 These Mini Blueberry Cheesecakes looks delicious and we hope you enjoy making them!